Breast implant surgery is a very popular cosmetic surgery procedure and is typically very successful, with a high patient satisfaction rate. However, any surgical procedure carries a degree of risk and potential complications and it is essential that patients are fully aware of the implications of their decision to go ahead with surgery at that time. 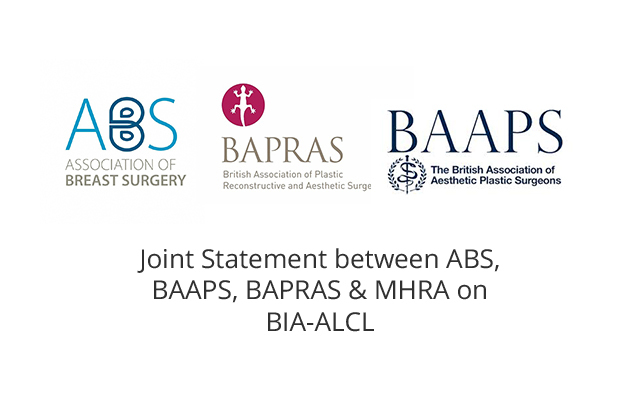 Last month, a joint statement was released by the Association of Breast Surgeons (ABS), the British Association of Aesthetic Plastic Surgeons (BAAPS) and the British Association of Plastic, Reconstructive and Aesthetic Surgeons (BAPRAS), who have been working in close collaboration with the Medicines and Healthcare products Regulatory Agency (MHRA) to evaluate the risk factors associated with Breast Implant Associated – Anaplastic Large Cell Lymphoma (BIA-ALCL). Mr Kelvin Ramsey always offers a comprehensive consultation where all aspects of the surgical procedure are discussed in depth to ensure that patients are fully informed. 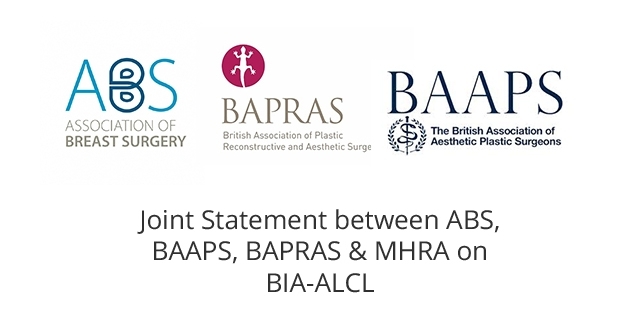 If you have further questions, then please call 020 3764 0399 to arrange a consultation.